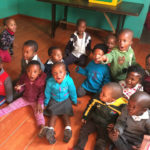 Abaphumeleli was established as a place of safety for vulnerable children in 2004 by founder and director Evelyn Makasi. 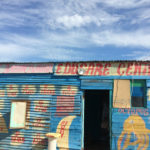 Located in Ilitha Park, Khayelitsha, Abaph houses children who have been abused or neglected, whose parents have passed away, or who otherwise have no one to look after them. Many of the children are HIV-positive. At present, 33 children live in two homes situated side-by-side: one that houses Evelyn, her husband, and the older children, and one that houses the younger children and their caregivers. Thanks in part to the monthly grant provided by CHOSA, the home has recently expanded to house 8 new children. Abaph’s ultimate goal is to double the number of children housed there. To that end, Abaph is currently in the beginning stages of opening a bakery on-site, which would serve as a source of sustainable income for the home, as well as a job creator for the community. CHOSA staff continue to provide support to Abaph’s leadership as they work toward this vision.